Notos, the personification of south wind, sometimes a gentle breeze, sometimes the bringer of storms, has given name to the piano quartet founded in 2007. The fact that its members studied in four different cities – Berlin, Frankfurt, Aachen and London – did not pose logistical obstacles to the start of its career. Rather, the multitude of impulses has always had an enriching effect on the music of the Notos Quartet. Meanwhile, Frankfurt has become the homebase of the ensemble. Participation in workshops with the Fauré Quartet and Mandelring Quartet as well as with Niklas Schmidt (Trio Fontenay), Valentin Erben (Alban Berg Quartet) and Menahem Pressler (Beaux Arts Trio) has made a great contribution to the development and professional growth of the quartet. 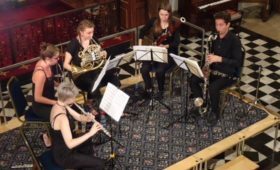 They have earned recognition on international stages such as Wigmore Hall in London and Concertgebouw in Amsterdam and raised audience’s admiration at well-known festivals like Schwetzinger Festspiele and Hambacher Musikfest. Success at international competitions was soon to follow. After winning the Chamber Music Prize at the 2008 International Mendelssohn Summer School Festival in Hamburg, the quartet was awarded the Second Prize at the SWR Music Awards in Schloss Waldhausen the following year. 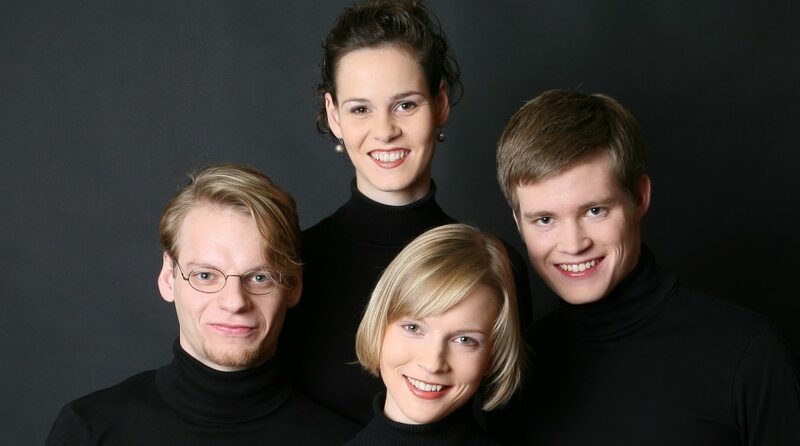 However, the highest recognition in the young career of the Notos Quartet so far has been winning the 2011 Parkhouse Award in London, perhaps the most important competition for piano quartets, as well as receiving First Prize at the Charles-Hennen-Concours in Holland only a few days later. 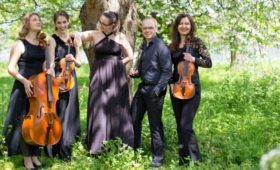 Since the beginning of its career the Notos Quartet has been equally highly praised by the audience and critics. Its freshness, brilliant interplay and intelligent interpretation have a universally convincing effect. 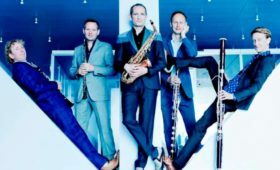 Conveying their own fascination with music to their listeners is what makes the concerts of the Notos Quartet an especially enjoyable musical experience.